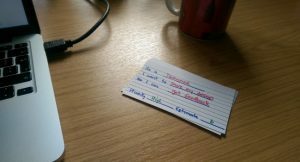 This is a guest post by Dave Kearney (@dave_kearney), CEO of FluidUI.com (@fluidUI), a tool for designers and product visionaries that helps them to explore and communicate ideas for mobile, wearable and desktop apps. The Fluid UI Team and Dave Kearney will be on hand all weekend at Travel Meets Big Data to answer questions to help in using this approach and to help focus your roadmap on the right people – the people your product is being developed for. As technology partners they also offer the Travel Meets Big Data hackathon participants a pro-account for FREE to use FluidUI for a limited amount of time. By using FluidUI, you can bring rapid product validation and design thinking to the problems you are solving, and can learn a huge amount in a very short timeframe – the kind of time that’s available over a hackathon weekend like Travel Meets Big Data. UX design is the newest business “must have” on the block – and not without good reason. In a global marketplace where every viable idea has hundreds of potential competitors, having a deeper understanding of your customer’s needs means less guesswork, less wasted time and a more direct route to solving the kind of problems customers are happy to pay top dollar for. The benefits of following a design driven approach to solving business problems is not just anecdotal. 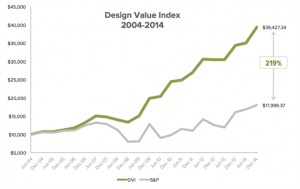 In a recent study performed by dmi.org & Microsoft, design-led companies outperformed the S&P by an incredible 219% between 2004 and 2014. Clearly design methodologies including UX research, lean product validation and rapid prototyping are leading to better business success on a global scale. One of the key tenets of the UX design driven approach is communicating with real users to get real answers in the shortest timespan possible. By using real user feedback, you can easily prioritise a roadmap according to your user’s needs – and not the opinions of the management team which can often and unavoidably be too distant from real users. If you don’t believe it, take a half day to read a month of real customer feedback compiled by your support team. I can guarantee you will learn something interesting you didn’t know before. Aren’t we talking market research? When faced with this description, people frequently ask what the difference between UX research and market research is – is it not just a new name for an old thing? Step 1: Identify your market segment and create personas for each user category for your potential market. Step 2: Identify real people you can talk to that match your personas (see more on how to quickly find users to talk to here). Step 3: Interview them and discuss potential solutions with your team. Step 4: Create a prototype of a solution. Step 5: Take your solution back to those users and validate that your prototype is a solution to the problem they are facing. For more detailed information about this approach, see “A 5 step framework for product validation”. For more on how to validate the idea quickly and without bias, see here and here.